Questions to ask your team. The right questions can make a huge difference. Questions to ask your team. The right questions can make a huge difference. I’m suggesting some questions that you should ask your team at weekly meetings. These are real questions that can dramatically improve an employee’s morale, output, and quality of work. If you want to be an effective manager ask the right questions. How are you today, right now? How has your week been? What’s the best thing that happened to you this week, Victories, good stuff either at work or outside of it? Asking these questions will help provide a sense of forwarding motion and progress. When a worker relates positive information, it gives them a sense of personal accomplishment. By communicating positive information, they are setting an upbeat context for any further discussion. What was your one thing/big rock for last week? Did you accomplish it? Tell me what worked and what you learned? What did you do well or what worked well? What didn’t you do well or what didn’t work well? Looking back on the week, what could have gone better? What skills do you need to develop to succeed at a higher level? Asking this question you get to understand where the worker is struggling. It puts your conversation into problem-solving mode. First, you need to know and understand the problem. Then you need to solve it. And your conversation becomes a productive one. There are always things you can do to solve problems, but you have to first know that there’s a problem to solve. In other words, you have to ask questions. Understanding employees’ goals can help you create a motivational workplace. People are most energized by work that may contribute to their future success. G. What is your 90-day goal? R. How are you pacing to hit that goal? O. Based on your year goal and your 90-day goal, what are you options to close the gap or stay on pace to hit your goal? (Have them brainstorm 5-7 options. DON’T give them the answers). What are your priorities this week? What do you think would be the biggest obstacle in keeping you from accomplishing that? How can I/The team-best assist you this week? What will you do today to get started? So your commitments for the week are:________? How do you want me to hold you accountable to these commitments? Here’s a handful of questions to promote positive energy. When your team is happy, they not only come up with better solutions, but their satisfaction also helps to build a culture of high performance and low turnover. What inspires you to succeed every day? What is the most meaningful part of your job? On a scale of 1 to 10, how happy are you? Why? When do you have the most fun at work? What would you like to learn more about this year? These questions give you concrete actionable information that can help a worker do better, do more, or do it right. You may be surprised by the answers you get. Sometimes, what we managers think our employees need is different from what they actually need. Of course, sometimes you can’t deliver anything or everything they want. You have limitations. However, let your employee know that if you can do anything to help, you’re prepared to do so. Provide a connection that lets your employee know you’re a human. You care about their success and well-being. How can we make your days more fulfilling? What can I be doing better to help you in your job? Are there any obstacles I can remove for you? What’s going well in your role? Any wins (big or small) this week? Every team member has a different perspective on the company. Your job as a manager is to synthesize all this information and improve the company. Everyone can add value, and not just the value that comes from their performing a strictly-defined job title. They can provide value by sharing their own managerial insights. 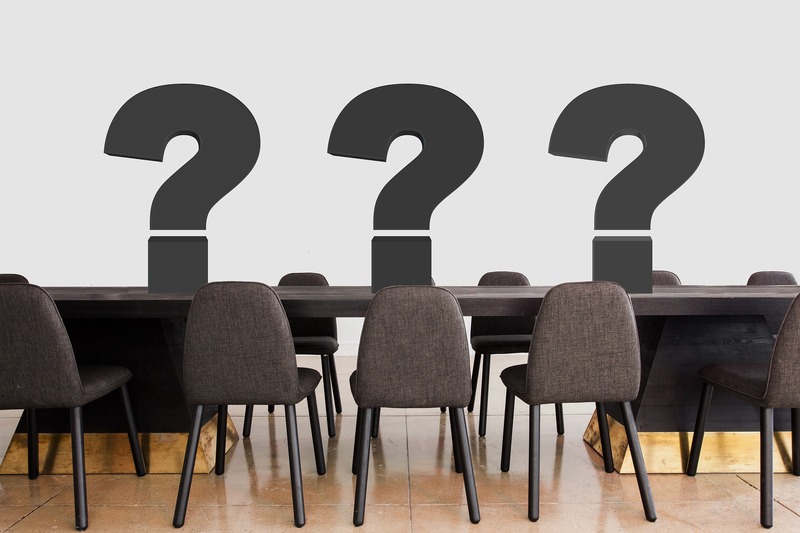 Asking these questions you get to introduce changes that will improve the company and gain information that allows you to make the company better. You don’t have to act on every suggestion, but now and then you’re going to discover some things that truly need to change. Simple or complex, allowing your employees to speak up on process empowers them and keeps them constantly thinking of making things better for everyone. What’s the number one problem within our organization? done? What process can be fixed or improved? Sometimes something peripheral can have a tremendous impact on getting things done. After a while, employees might just “deal with it” instead of enrolling someone who can actually resolve the issues. Are you crystal clear on your role and what you should be working on? If not, what aspects aren’t clear? Working hard and being busy doesn’t impress anyone, so you can stop running around the office with a furrowed brow. For any given task an employee should be able to answer what exactly they are doing and why. What team and company objectives does it contribute to? Asking the right questions make it easier to correct performance, ensures the team is on the same page and builds a relationship between the team. Remember, you shouldn’t just make it a question-answer-question kind of situation. Use the questions as a way to engage in a meaningful conversation and one where ideas are born and new thoughts come to life. Let the questions direct the conversation, but not be the sole purpose of it.